Son of John and Margaret Ann Halliwell, of Burnley, Lancashire; husband of Lucy Halliwell, of Burnley. Mrs. William Halliwell, of 1 Francis street, Burnley, has been notified that her husband, Sapper William Halliwell, has died of wounds, sustained in an explosion during the fighting in Italy. 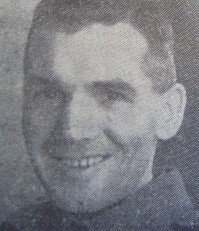 Before joining up in August 194?, Sapper Halliwell was employed at Devonport. He had been serving with the C.M.F. for two years. His parents live at 24, Morley street, Burnley. The Briercliffe Society © 2007-2017. All Rights Reserved.